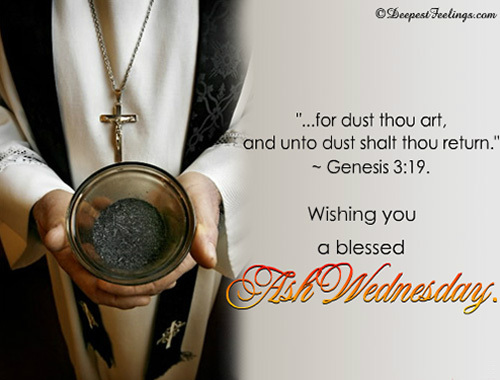 One of the holiest Christian occassions, Ash Wednesday is the first day of the sacred 40-day period known as Lent, and is the time for every true Christian to have his/her forehead marked with ash as a symbol of adherence to faith, repentance and mortality. 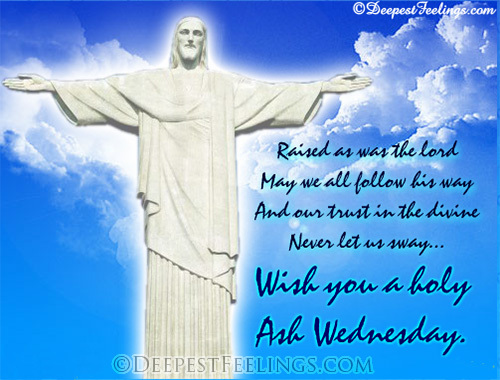 Share the spirit of Ash Wednesday with your loved ones with a range of thematic e-cards from TheHolidaySpot. Choose any of the Ash Wednesday e-greeting cards from below, add in your message and send to your friends and dear ones absolutely for free. 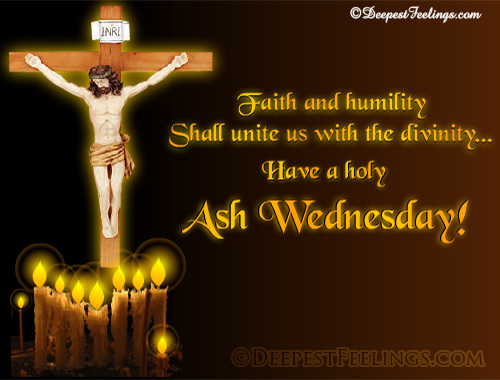 Have a blessed Ash Wednesday! 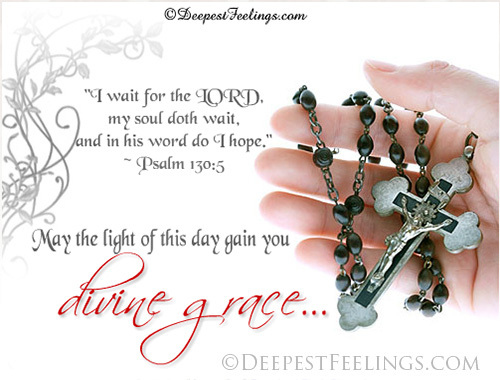 Wishing you a blessed Ash Wednesday! Raised as was the lord May we we all follow his way.